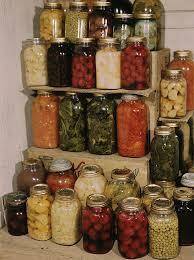 My wife and I have spent quite a bit of time learning different ways to preserve foods. We have tried all kinds of different methods, including dehydrating, canning, vacuum packing, salting, fermenting and many others. As a result of this, we have come to the conclusion that many preppers make a major mistake in not storing large enough amounts of salt and sugar for preserving food. Sugar can be used to preserve foods by canning fruits, making jams and jelly and preserving other foods. Salt can be used for preserving meat, pickling and fermenting. We used to figure that a hundred pounds of sugar a year would be enough for the both of us. However based on our experience with the amounts of sugar it takes to preserve food that would not be enough. The same thing applies to salt. Often when I talk to people about how much salt they store they only have between 1 to 5 pounds. Buying salt in 25 pound bags is inexpensive. It cost very little to store a couple of hundred pounds. Often the reason given for not storing more, is that they are trying to avoid the use of salt and sugar. If we had to live on food preserved by old-fashioned methods, our use of salt and sugar for preserving food would go up. This would not necessarily increase our daily intake of salt and sugar, because we would not be eating all the store bought foods that are heavily salted and sugared. In a long-term disaster, both salt and sugar for preserving food will be heavily in demand and will be great trading items. Both are inexpensive and have an almost unlimited shelf life if kept dry. They can be stored in five-gallon food grade buckets without Mylar bags or, oxygen absorbers. Store as much salt and sugar, for preserving food as you can. They will be like gold in the future. This entry was posted in food storage, preserving foods and tagged salt and sugar for preserving food. Bookmark the permalink. While I don’t really store sugar. Don’t use it. Don’t care for it. I have over 100 pounds of salt. I found 25 pound bags of commercial salt on sale for under 2 bucks. Bought it all. Sugar is essential for packing open wounds, being mixed with Betadyne, irrigating with saline, cleaning and redressing twice daily. In primitive conditions without IV antibiotics, it will save your life. Every bit as important as having Kevlar chaps and a dermal stapler if you own and use a chain saw….. Don’t ask me how I know! Where do you get salt when you run out of you stores?